The great gray pile of masonry looked very different to Pollyanna when she made her second visit to the house of Mr. John Pendleton. Windows were open, an elderly woman was hanging out clothes in the back yard, and the doctor's gig stood under the porte-cochere. As before Pollyanna went to the side door. This time she rang the bell--her fingers were not stiff to-day from a tight clutch on a bunch of keys. "If you please, I've brought some calf's-foot jelly for Mr. Pendleton," smiled Pollyanna. "Thank you," said the woman, reaching for the bowl in the little girl's hand. "Who shall I say sent it? And it's calf's-foot jelly?" The doctor, coming into the hall at that moment, heard the woman's words and saw the disappointed look on Pollyanna's face. He stepped quickly forward. "Ah! Some calf's-foot jelly?" he asked genially. "That will be fine! Maybe you'd like to see our patient, eh?" "Oh, yes, sir," beamed Pollyanna; and the woman, in obedience to a nod from the doctor, led the way down the hall at once, though plainly with vast surprise on her face. "But, Doctor, didn't Mr. Pendleton give orders not to admit--any one?" "Oh, yes," nodded the doctor, imperturbably. "But I'm giving orders now. I'll take the risk." Then he added whimsically: "You don't know, of course; but that little girl is better than a six-quart bottle of tonic any day. If anything or anybody can take the grouch out of Pendleton this afternoon, she can. That's why I sent her in." "She's the niece of one of our best known residents. Her name is Pollyanna Whittier. I--I don't happen to enjoy a very extensive personal acquaintance with the little lady as yet; but lots of my patients do--I'm thankful to say! "Indeed! And what are the special ingredients of this wonder-working--tonic of hers?" "I don't know. As near as I can find out it is an overwhelming, unquenchable gladness for everything that has happened or is going to happen. At any rate, her quaint speeches are constantly being repeated to me, and, as near as I can make out, 'just being glad' is the tenor of most of them. All is," he added, with another whimsical smile, as he stepped out on to the porch, "I wish I could prescribe her--and buy her--as I would a box of pills;--though if there gets to be many of her in the world, you and I might as well go to ribbon-selling and ditch-digging for all the money we'd get out of nursing and doctoring," he laughed, picking up the reins and stepping into the gig. Pollyanna, meanwhile, in accordance with the doctor's orders, was being escorted to John Pendleton's rooms. "If you please, sir, here--here's a little girl with some jelly. The doctor said I was to--to bring her in." "See here, didn't I say--" began an angry voice. "Oh, it's you!" it broke off not very graciously, as Pollyanna advanced toward the bed. "Yes, sir," smiled Pollyanna. "Oh, I'm so glad they let me in! You see, at first the lady 'most took my jelly, and I was so afraid I wasn't going to see you at all. Then the doctor came, and he said I might. Wasn't he lovely to let me see you?" In spite of himself the man's lips twitched into a smile; but all he said was "Humph!" "And I've brought you some jelly," resumed Pollyanna; "--calf's-foot. I hope you like it?" There was a rising inflection in her voice. "Never ate it." The fleeting smile had gone, and the scowl had come back to the man's face. For a brief instant Pollyanna's countenance showed disappointment; but it cleared as she set the bowl of jelly down. "Didn't you? Well, if you didn't, then you can't know you don't like it, anyhow, can you? So I reckon I'm glad you haven't, after all. Now, if you knew--"
"Yes, yes; well, there's one thing I know all right, and that is that I'm flat on my back right here this minute, and that I'm liable to stay here--till doomsday, I guess." "Oh, no! It couldn't be till doomsday, you know, when the angel Gabriel blows his trumpet, unless it should come quicker than we think it will--oh, of course, I know the Bible says it may come quicker than we think, but I don't think it will--that is, of course I believe the Bible; but I mean I don't think it will come as much quicker as it would if it should come now, and--"
John Pendleton laughed suddenly--and aloud. The nurse, coming in at that moment, heard the laugh, and beat a hurried--but a very silent--retreat. He had the air of a frightened cook who, seeing the danger of a breath of cold air striking a half-done cake, hastily shuts the oven door. "Aren't you getting a little mixed?" asked John Pendleton of Pollyanna. "Maybe. But what I mean is, that legs don't last--broken ones, you know--like lifelong invalids, same as Mrs. Snow has got. So yours won't last till doomsday at all. I should think you could be glad of that." "Oh, I am," retorted the man grimly. "And you didn't break but one. You can be glad 'twasn't two." Pollyanna was warming to her task. "Of course! So fortunate," sniffed the man, with uplifted eyebrows; "looking at it from that standpoint, I suppose I might be glad I wasn't a centipede and didn't break fifty!" "Oh, that's the best yet," she crowed. "I know what a centipede is; they've got lots of legs. And you can be glad--"
"Oh, of course," interrupted the man, sharply, all the old bitterness coming back to his voice; "I can be glad, too, for all the rest, I suppose--the nurse, and the doctor, and that confounded woman in the kitchen!" "Why, yes, sir--only think how bad 'twould be if you didn't have them!" "Well, I--eh?" he demanded sharply. "Why, I say, only think how bad it would be if you didn't have 'em--and you lying here like this!" "As if that wasn't the very thing that was at the bottom of the whole matter," retorted the man, testily, "because I am lying here like this! And yet you expect me to say I'm glad because of a fool woman who disarranges the whole house and calls it 'regulating,' and a man who aids and abets her in it, and calls it 'nursing,' to say nothing of the doctor who eggs 'em both on--and the whole bunch of them, meanwhile, expecting me to pay them for it, and pay them well, too!" "Yes, I know. That part is too bad--about the money--when you've been saving it, too, all this time." "Saving it--buying beans and fish balls, you know. Say, do you like beans?--or do you like turkey better, only on account of the sixty cents?" "Look a-here, child, what are you talking about?" "About your money, you know--denying yourself, and saving it for the heathen. You see, I found out about it. Why, Mr. Pendleton, that's one of the ways I knew you weren't cross inside. Nancy told me." "Nancy told you I was saving money for the--Well, may I inquire who Nancy is?" "Our Nancy. She works for Aunt Polly." "Aunt Polly! Well, who is Aunt Polly?" "She's Miss Polly Harrington. I live with her." "Miss--Polly--Harrington!" he breathed. "You live with--her!" "Yes; I'm her niece. She's taken me to bring up--on account of my mother, you know," faltered Pollyanna, in a low voice. "She was her sister. And after father--went to be with her and the rest of us in Heaven, there wasn't any one left for me down here but the Ladies' Aid; so she took me." The man did not answer. His face, as he lay back on the pillow now, was very white--so white that Pollyanna was frightened. She rose uncertainly to her feet. "I reckon maybe I'd better go now," she proposed. "I--I hope you'll like--the jelly." "And so you are--Miss Polly Harrington's niece," he said gently. John Pendleton's lips curved in an odd smile. "N-no, sir: she didn't. She said I must be very sure not to let you think she did send it. But I--"
"I thought as much," vouchsafed the man, shortly, turning away his head. And Pollyanna, still more distressed, tiptoed from the room. "Well, Miss Pollyanna, may I have the pleasure of seeing you home?" asked the doctor smilingly. "I started to drive on a few minutes ago; then it occurred to me that I'd wait for you." "Thank you, sir. I'm glad you did. I just love to ride," beamed Pollyanna, as he reached out his hand to help her in. "Do you?" smiled the doctor, nodding his head in farewell to the young man on the steps. "Well, as near as I can judge, there are a good many things you 'love' to do--eh?" he added, as they drove briskly away. "Why, I don't know. I reckon perhaps there are," she admitted. "I like to do 'most everything that's living. Of course I don't like the other things very well--sewing, and reading out loud, and all that. But they aren't living." "No? What are they, then? "Aunt Polly says they're 'learning to live,' sighed Pollyanna, with a rueful smile. The doctor smiled now--a little queerly. "Does she? Well, I should think she might say--just that." "Yes," responded Pollyanna. "But I don't see it that way at all. I don't think you have to learn how to live. I didn't, anyhow." "Dr. Chilton, I should think being a doctor would, be the very gladdest kind of a business there was." " 'Gladdest'!--when I see so much suffering always, everywhere I go?" he cried. "I know; but you're helping it--don't you see?--and of course you're glad to help it! And so that makes you the gladdest of any of us, all the time." The doctor's eyes filled with sudden hot tears. The doctor's life was a singularly lonely one. He had no wife and no home save his two-room office in a boarding house. His profession was very dear to him. Looking now into Pollyanna's shining eyes, he felt as if a loving hand had been suddenly laid on his head in blessing. He knew, too, that never again would a long day's work or a long night's weariness be quite without that new-found exaltation that had come to him through Pollyanna's eyes. "God bless you, little girl," he said unsteadily. Then, with the bright smile his patients knew and loved so well, he added: "And I'm thinking, after all, that it was the doctor, quite as much as his patients, that needed a draft of that tonic!" All of which puzzled Pollyanna very much--until a chipmunk, running across the road, drove the whole matter from her mind. "I've had a perfectly beautiful ride with the doctor," announced Pollyanna, bounding up the steps. "He's lovely, Nancy!" "Yes. And I told him I should think his business would be the very gladdest one there was." "What!--goin' ter see sick folks--an' folks what ain't sick but thinks they is, which is worse? Nancy's face showed open skepticism. "Yes. That's 'most what he said, too; but there is a way to be glad, even then. Guess!" Nancy frowned in meditation. Nancy was getting so she could play this game of "being glad" quite successfully, she thought. She rather enjoyed studying out Pollyanna's "posers," too, as she called some of the little girl's questions. "Oh, I know," she chuckled. "It's just the opposite from what you told Mis' Snow." "Opposite?" repeated Pollyanna, obviously puzzled. "Yes. You told her she could be glad because other folks wasn't like her--all sick, you know." "Well, the doctor can be glad because he isn't like other folks--the sick ones, I mean, what he doctors," finished Nancy in triumph. It was Pollyanna's turn to frown. "Why, y-yes," she admitted. "Of course that is one way, but it isn't the way I said; and--someway, I don't seem to quite like the sound of it. It isn't exactly as if he said he was glad they were sick, but--You do play the game so funny, sometimes Nancy," she sighed, as she went into the house. 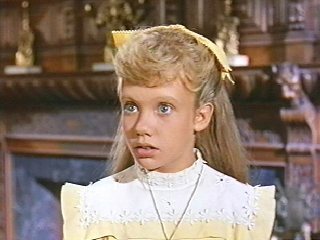 "Who was that man--the one who drove into the yard, Pollyanna?" questioned the lady a little sharply. "Why, Aunt Polly, that was Dr. Chilton! Don't you know him?" "Dr. Chilton! What was he doing--here? "He drove me home. Oh, and I gave the jelly to Mr. Pendleton, and--"
"Pollyanna, he did not think I sent it?" "Oh, no, Aunt Polly. I told him you didn't." "You told him I didn't!" Pollyanna opened wide her eyes at the remonstrative dismay in her aunt's voice. "Why, Aunt Polly, you said to!" "I said, Pollyanna, that I did not send it, and for you to be very sure that he did not think I did!--which is a very different matter from telling him outright that I did not send it." And she turned vexedly away. "Dear me! Well, I don't see where the difference is," sighed Pollyanna, as she went to hang her hat on the one particular hook in the house upon which Aunt Polly had said that it must be hung. It was on a rainy day about a week after Pollyanna's visit to Mr. John Pendleton, that Miss Polly was driven by Timothy to an early afternoon committee meeting of the Ladies' Aid Society. When she returned at three o'clock, her cheeks were a bright, pretty pink, and her hair, blown by the damp wind, had fluffed into kinks and curls wherever the loosened pins had given leave. "Oh--oh--oh! Why, Aunt Polly, you've got 'em, too," she cried rapturously, dancing round and round her aunt, as that lady entered the sitting room. "Got what, you impossible child?" "And I never knew you had 'em! Can folks have 'em when you don't know they've got 'em? Do you suppose I could?--'fore I get to Heaven, I mean," she cried, pulling out with eager fingers the straight locks above her ears. "But then, they wouldn't be black, if they did come. You can't hide the black part." "Pollyanna, what does all this mean?" demanded Aunt Polly, hurriedly removing her hat, and trying to smooth back her disordered hair. "No, no--please, Aunt Polly!" Pollyanna's jubilant voice turned to one of distressed appeal. "Don't smooth 'em out! It's those that I'm talking about--those darling little black curls. Oh, Aunt Polly, they're so pretty!" "Nonsense! What do you mean, Pollyanna, by going to the Ladies' Aid the other day in that absurd fashion about that beggar boy?" "But it isn't nonsense," urged Pollyanna, answering only the first of her aunt's remarks. "You don't know how pretty you look with your hair like that! Oh, Aunt Polly, please, mayn't I do your hair like I did Mrs. Snow's, and put in a flower? I'd so love to see you that way! Why, you'd be ever so much prettier than she was!" "Pollyanna!" (Miss Polly spoke very sharply--all the more sharply because Pollyanna's words had given her an odd throb of joy: when before had anybody cared how she, or her hair looked? When before had anybody "loved" to see her "pretty"?) "Pollyanna, you did not answer my question. Why did you go to the Ladies' Aid in that absurd fashion?" "Yes'm, I know; but, please, I didn't know it was absurd until I went and found out they'd rather see their report grow than Jimmy. So then I wrote to my Ladies' Aiders--'cause Jimmy is far away from them, you know; and I thought maybe he could be their little India boy same as--Aunt Polly, was I your little India girl? And, Aunt Polly, you will let me do your hair, won't you?" Aunt Polly put her hand to her throat--the old, helpless feeling was upon her, she knew. "But, Pollyanna, when the ladies Old me this afternoon how you came to them, I was so ashamed! I--"
"You didn't!--You didn't say I couldn't do your hair," she crowed triumphantly; "and so I'm sure it means just the other way 'round, sort of--like it did the other day about Mr. Pendleton's jelly that you didn't send, but didn't want me to say you didn't send, you know. Now wait just where you are. I'll get a comb." "But Pollyanna, Pollyanna," remonstrated Aunt Polly, following the little girl from the room and panting up-stairs after her. "Oh, did you come up here?" Pollyanna greeted her at the door of Miss Polly's own room. "That'll be nicer yet! I've got the comb. Now sit down, please, right here. Oh, I'm so glad you let me do it!" "Oh, my! what pretty hair you've got," prattled Pollyanna; "and there's so much more of it than Mrs. Snow has, too! But, of course, you need more, anyhow, because you're well and can go to places where folks can see it. My! I reckon folks'll be glad when they do see it--and surprised, too, 'cause you've hid it so long. Why, Aunt Polly, I'll make you so pretty everybody'll just love to look at you!" "Pollyanna!" gasped a stifled but shocked voice from a veil of hair. I--I'm sure I don't know why I'm letting you do this silly thing." "Why, Aunt Polly, I should think you'd be glad to have folks like to look at you! Don't you like to look at pretty things? I'm ever so much happier when I look at pretty folks, 'cause when I look at the other kind I'm so sorry for them." "And I just love to do folks' hair," purred Pollyanna, contentedly. "I did quite a lot of the Ladies' Aiders'--but there wasn't any of them so nice as yours. Mrs. White's was pretty nice, though, and she looked just lovely one day when I dressed her up in--Oh, Aunt Polly, I've just happened to think of something! But it's a secret, and I sha'n't tell. Now your hair is almost done, and pretty quick I'm going to leave you just a minute; and you must promise--promise--promise not to stir nor peek, even, till I come back. Now remember! she finished, as she ran from the room. At that moment--unaccountably--Miss Polly caught a glimpse of herself in the mirror of the dressing table. And what she saw sent such a flush of rosy color to her cheeks that--she only flushed the more at the sight. She saw a face--not young, it is true--but just now alight with excitement and surprise. The cheeks were a pretty pink. The eyes sparkled. The hair, dark, and still damp from the outdoor air, lay in loose waves about the forehead and curved back over the ears in wonderfully becoming lines, with softening little curls here and there. "Pollyanna, Pollyanna! What are you doing?" she cried. "That's just what I don't want you to know, Aunt Polly, and I was afraid you would peek, so I tied on the handkerchief. Now sit still. It won't take but just a minute, then I'll let you see." "But, Pollyanna," began Miss Polly, struggling blindly to her feet, "you must take this off! You--child, child! what are you doing?" she gasped, as she felt a soft something slipped about her shoulders. Pollyanna only chuckled the more gleefully. With trembling fingers she was draping about her aunt's shoulders the fleecy folds of a beautiful lace shawl, yellowed from long years of packing away, and fragrant with lavender. Pollyanna had found the shawl the week before when Nancy had been regulating the attic; and it had occurred to her to-day that there was no reason why her aunt, as well as Mrs. White of her Western home, should not be "dressed up." "Pollyanna, what are you doing? Where are you taking me to?" recoiled Aunt Polly, vainly trying to hold herself back. "Pollyanna, I shall not--"
"It's just to the sun parlor--only a minute! I'll have you ready now quicker'n no time," panted Pollyanna, reaching for the rose and thrusting it into the soft hair above Miss Polly's left ear. "There!" she exulted, untying the knot of the handkerchief and flinging the bit of linen far from her. "Oh, Aunt Polly, now I reckon you'll be glad I dressed you up!" For one dazed moment Miss Polly looked at her bedecked self, and at her surroundings; then she gave a low cry and fled to her room. Pollyanna, following the direction of her aunt's last dismayed gaze, saw, through the open windows of the sun parlor, the horse and gig turning into the driveway. She recognized at once the man who held the reins. Delightedly she leaned forward. "Dr. Chilton, Dr. Chilton! Did you want to see me? I'm up here." "Yes," smiled the doctor, a little gravely. "Will you come down, please?" "Pollyanna, how could you?" moaned the woman. "To think of your rigging me up like this, and then letting me--be seen!" "But you looked lovely--perfectly lovely, Aunt Polly; and--"
" 'Lovely'!" scorned the woman, flinging the shawl to one side and attacking her hair with shaking fingers. "Oh, Aunt Polly, please, please let the hair stay!" "Stay? Like this? As if I would!" And Miss Polly pulled the locks so tightly back that the last curl lay stretched dead at the ends of her fingers. "O dear! And you did look so pretty," almost sobbed Pollyanna, as she stumbled through the door. "I've prescribed you for a patient, and he's sent me to get the prescription filled," announced the doctor. "Will you go?" "You mean--an errand--to the drug store?" asked Pollyanna, a little uncertainly. "I used to go some--for the Ladies' Aiders." "Not exactly. It's Mr. John Pendleton. He would like to see you to-day, if you'll be so good as to come. It's stopped raining, so I drove down after you. Will you come? I'll call for you and bring you back before six o'clock." "I'd love to!" exclaimed Pollyanna. "Let me ask Aunt Polly." "Didn't--your aunt want you to go?" asked the doctor, a little diffidently, as they drove away. "Y-yes," sighed Pollyanna. "She--she wanted me to go too much, I'm afraid." "Wanted you to go too much!" "Yes. I reckon she meant she didn't want me there. You see, she said: 'Yes, yes, run along, run along--do! I wish you'd gone before.' "
"Wasn't it--your aunt I saw with you a few minutes ago--in the window of the sun parlor? "Yes; that's what's the whole trouble, I suppose. You see I'd dressed her up in a perfectly lovely lace shawl I found up-stairs, and I'd fixed her hair and put on a rose, and she looked so pretty. Didn't you think she looked just lovely?" "Yes, Pollyanna, I--I thought she did look--just lovely." "Did you? I'm so glad! I'll tell her," nodded the little girl, contentedly. "Never! Pollyanna, I--I'm afraid I shall have to ask you not to tell her--that." "Why, Dr. Chilton! Why not? I should think you'd be glad--"
"But she might not be," cut in the doctor. "That's so--maybe she wouldn't," she sighed. "I remember now; 'twas 'cause she saw you that she ran. And she--she spoke afterwards about her being seen in that rig." "I thought as much," declared the doctor, under his breath. "Still, I don't see why," maintained Pollyanna, "--when she looked so pretty!" Chapter XVII. "Just Like a Book"
"Well, Miss Pollyanna, I'm thinking you must be a very forgiving little person, else you wouldn't have come to see me again to-day." "Why, Mr. Pendleton, I was real glad to come, and I'm sure I don't see why I shouldn't be, either." "Oh, well, you know, I was pretty cross with you, I'm afraid, both the other day when you so kindly brought me the jelly, and that time when you found me with the broken leg at first. By the way, too, I don't think I've ever thanked you for that. Now I'm sure that even you would admit that you were very forgiving to come and see me, after such ungrateful treatment as that!" "But I was glad to find you--that is, I don't mean I was glad your leg was broken, of course," she corrected hurriedly. "I understand. Your tongue does get away with you once in a while, doesn't it, Miss Pollyanna? I do thank you, however; and I consider you a very brave little girl to do what you did that day. I thank you for the jelly, too," he added in a lighter voice. "Did you like it?" asked Pollyanna with interest. "Very much. I suppose--there isn't any more to-day that--that Aunt Polly didn't send, is there?" he asked with an odd smile. "N-no, sir." She hesitated, then went on with heightened color. "Please, Mr. Pendleton, I didn't mean to be rude the other day when I said Aunt Polly did not send the jelly." "Well, well, this will never do at all! I didn't send for you to see me moping this time. Listen! Out in the library--the big room where the telephone is, you know--you will find a carved box on the lower shelf of the big case with glass doors in the corner not far from the fireplace. That is, it'll be there if that confounded woman hasn't 'regulated' it to somewhere else! You may bring it to me. It is heavy, but not too heavy for you to carry, I think." 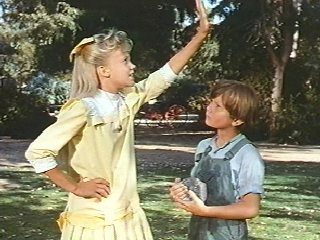 "Oh, I'm awfully strong," declared Pollyanna, cheerfully, as she sprang to her feet. In a minute she had returned with the box. It was a wonderful half-hour that Pollyanna spent then. The box was full of treasures--curios that John Pendleton had picked up in years of travel--and concerning each there was some entertaining story, whether it were a set of exquisitely carved chessmen from China, or a little jade idol from India. "Well, I suppose it would be better to take a little boy in India to bring up--one that didn't know any more than to think that God was in that doll-thing--than it would be to take Jimmy Bean, a little boy who knows God is up in the sky. Still, I can't help wishing they had wanted Jimmy Bean, too, besides the India boys." "Little girl, I want you to come to see me often. Will you? I'm lonesome, and I need you. There's another reason--and I'm going to tell you that, too. I thought, at first, after I found out who you were, the other day, that I didn't want you to come any more. You reminded me of--of something I have tried for long years to forget. So I said to myself that I never wanted to see you again; and every day, when the doctor asked if I wouldn't let him bring you to me, I said no. "But after a time I found I was wanting to see you so much that--that the fact that I wasn't seeing you was making me remember all the more vividly the thing I was so wanting to forget. So now I want you to come. Will you--little girl?" "Why, yes, Mr. Pendleton," breathed Pollyanna, her eyes luminous with sympathy for the sad-faced man lying back on the pillow before her. "I'd love to come!" "Thank you," said John Pendleton, gently. After supper that evening, Pollyanna, sitting on the back porch, told Nancy all about Mr. John Pendleton's wonderful carved box, and the still more wonderful things it contained. "And ter think," sighed Nancy, "that he showed ye all them things, and told ye about 'em like that--him that's so cross he never talks ter no one--no one!" "Oh, but he isn't cross, Nancy, only outside," demurred Pollyanna, with quick loyalty. "I don't see why everybody thinks he's so bad, either. They wouldn't, if they knew him. But even Aunt Polly doesn't like him very well. She wouldn't send the jelly to him, you know, and she was so afraid he'd think she did send it!" "Probably she didn't call him no duty," shrugged Nancy. "But what beats me is how he happened ter take ter you so, Miss Pollyanna--meanin' no offence ter you, of course--but he ain't the sort o' man what gen'rally takes ter kids; he ain't, he ain't." "But he did, Nancy," she nodded, "only I reckon even he didn't want to--all the time. Why, only to-day he owned up that one time he just felt he never wanted to see me again, because I reminded him of something he wanted to forget. But afterwards--"
"What's that?" interrupted Nancy, excitedly. "He said you reminded him of something he wanted to forget?" "What was it?" Nancy was eagerly insistent. "He didn't tell me. He just said it was something." "The mystery!" breathed Nancy, in an awestruck voice. "That's why he took to you in the first place. Oh, Miss Pollyanna! Why, that's just like a book--I've read lots of 'em; 'Lady Maud's Secret,' and 'The Lost Heir,' and 'Hidden for Years'--all of 'em had mysteries and things just like this. My stars and stockings! Just think of havin' a book lived right under yer nose like this an' me not knowin' it all this time! Now tell me everythin'--everythin' he said, Miss Pollyanna, there's a dear! No wonder he took ter you; no wonder--no wonder!" "But he didn't," cried Pollyanna, "not till I talked to him, first. 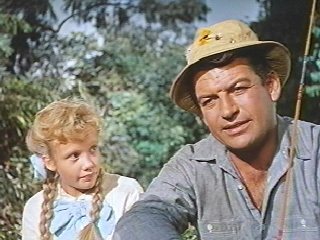 And he didn't even know who I was till I took the calf's-foot jelly, and had to make him understand that Aunt Polly didn't send it, and--"
"Oh, Miss Pollyanna, I know, I know--I know I know!" she exulted rapturously. The next minute she was down at Pollyanna's side again. "Tell me--now think, and answer straight and true," she urged excitedly. "It was after he found out you was Miss Polly's niece that he said he didn't ever want ter see ye again, wa'n't it?" "Oh, yes. I told him that the last time I saw him, and he told me this to-day." "I thought as much," triumphed Nancy. "And Miss Polly wouldn't send the jelly herself, would she?" "And you told him she didn't send it?" "And he began ter act queer and cry out sudden after he found out you was her niece. He did that, didn't he?" "Why, y-yes; he did act a little queer--over that jelly," admitted Pollyanna, with a thoughtful frown. "Then I've got it, sure! Now listen. Mr. John Pendleton was Miss Polly Harrington's lover!" she announced impressively, but with a furtive glance over her shoulder. "Why, Nancy, he couldn't be! She doesn't like him," objected Pollyanna. "Of course she don't! That's the quarrel! "It's like this. Just before you come, Mr. Tom told me Miss Polly had had a lover once. I didn't believe it. I couldn't--her and a lover! But Mr. Tom said she had, and that he was livin' now right in this town. And now I know, of course. It's John Pendleton. Hain't he got a mystery in his life? Don't he shut himself up in that grand house alone, and never speak ter no one? Didn't he act queer when he found out you was Miss Polly's niece? And now hain't he owned up that you remind him of somethin' he wants ter forget? Just as if anybody couldn't see 'twas Miss Polly!--an' her sayin' she wouldn't send him no jelly, too. Why, Miss Pollyanna, it's as plain as the nose on yer face; it is, it is!" "Oh-h!" breathed Pollyanna, in wide-eyed amazement. "But, Nancy, I should think if they loved each other they'd make up some time. Both of 'em all alone, so, all these years. I should think they'd be glad to make up!" "I guess maybe you don't know much about lovers, Miss Pollyanna. You ain't big enough yet, anyhow. But if there is a set o' folks in the world that wouldn't have no use for that 'ere 'glad game' o' your'n, it'd be a pair o' quarrellin' lovers; and that's what they be. Ain't he cross as sticks, most gen'rally?--and ain't she--"
"I ain't sayin', though, Miss Pollyanna, but what it would be a pretty slick piece of business if you could get 'em ter playin' it--so they would be glad ter make up. But, my land! wouldn't folks stare some--Miss Polly and him! I guess, though, there ain't much chance, much chance!"